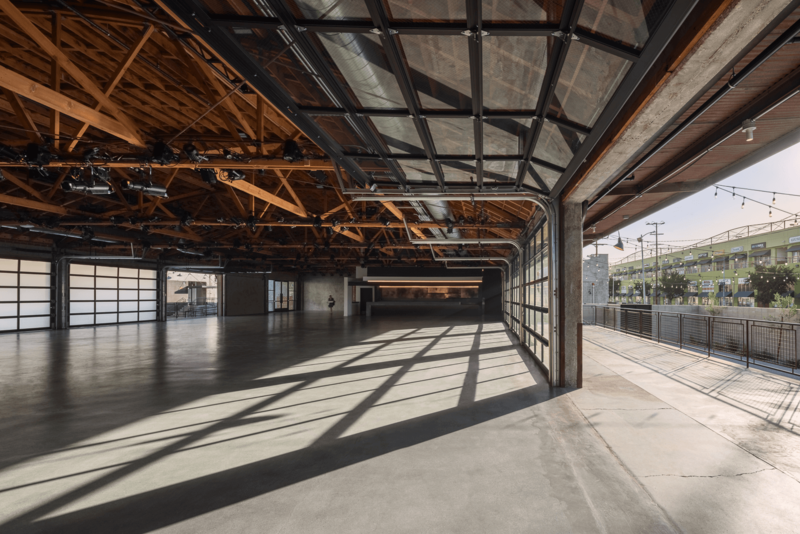 Located in the historic Downtown Los Angeles City Market, two century-old warehouses are transformed into a multi-functional event space. 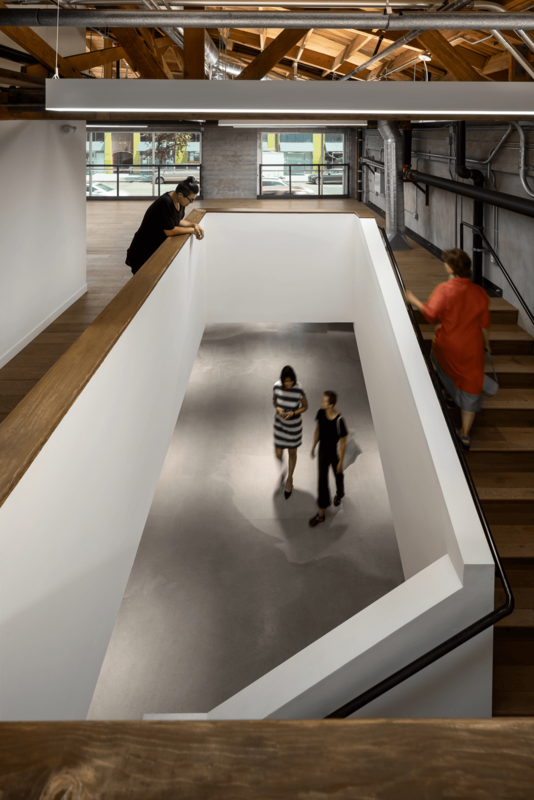 The program spreads over 20,000 sq. 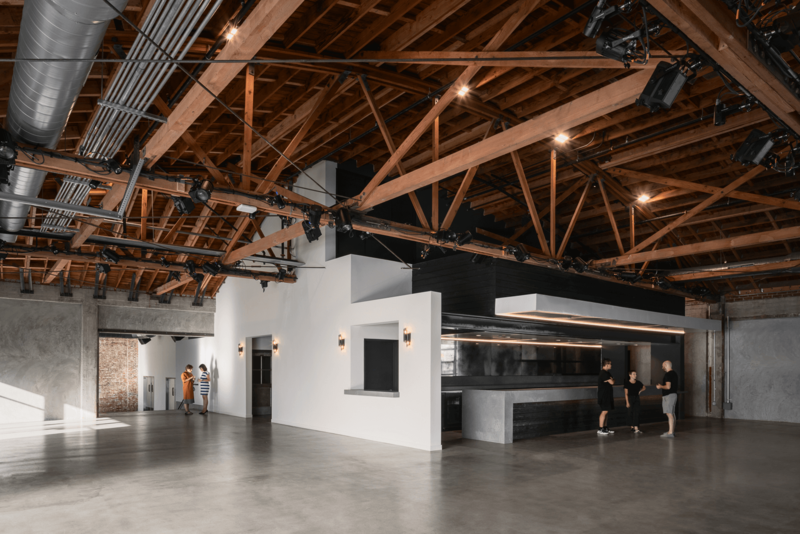 ft. and encompasses a multipurpose assembly hall, smaller gathering hall, full restaurant-size kitchen, bar, lounge, greenroom, studios, and outdoor patio. 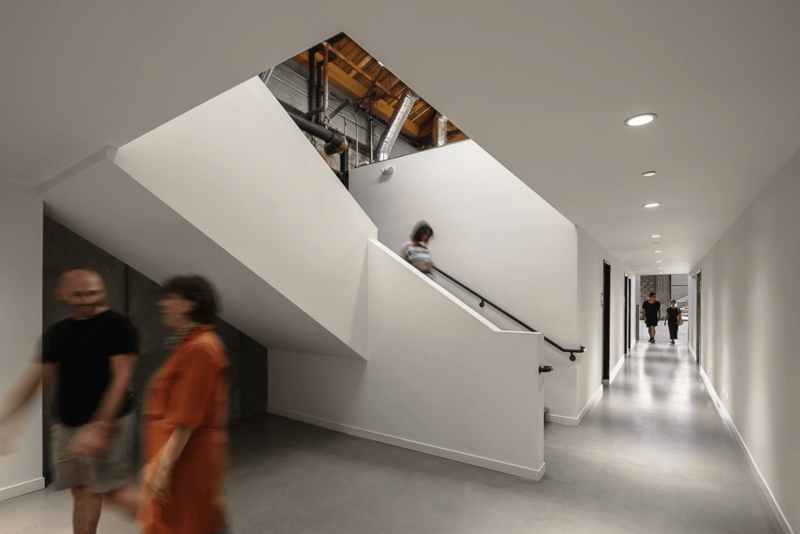 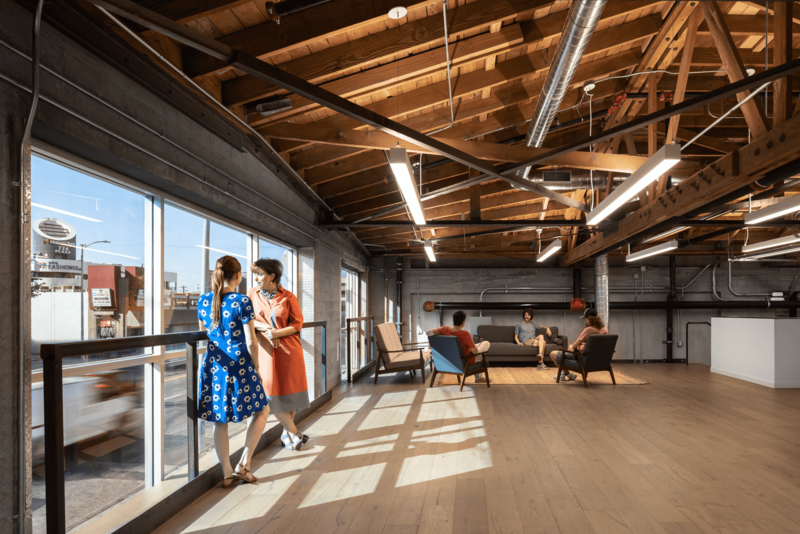 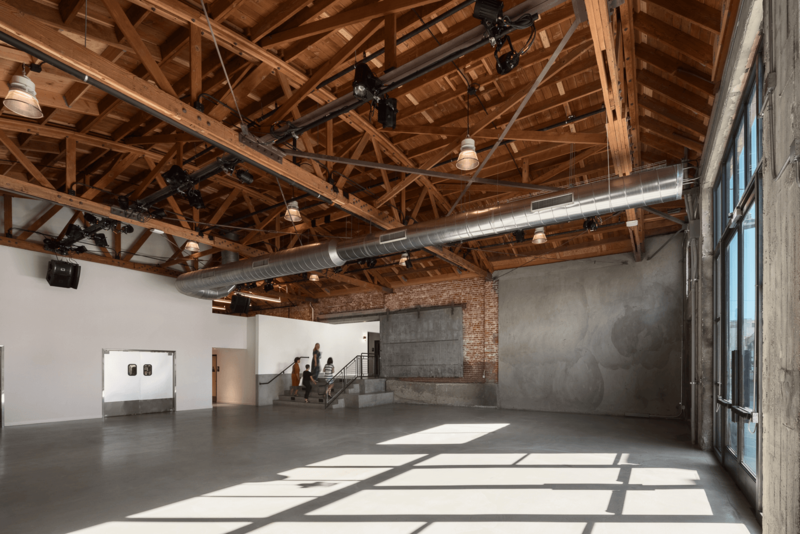 The design aims to preserve the experience of an archetypal LA warehouse space revealed through the enigmatic Californian natural light. 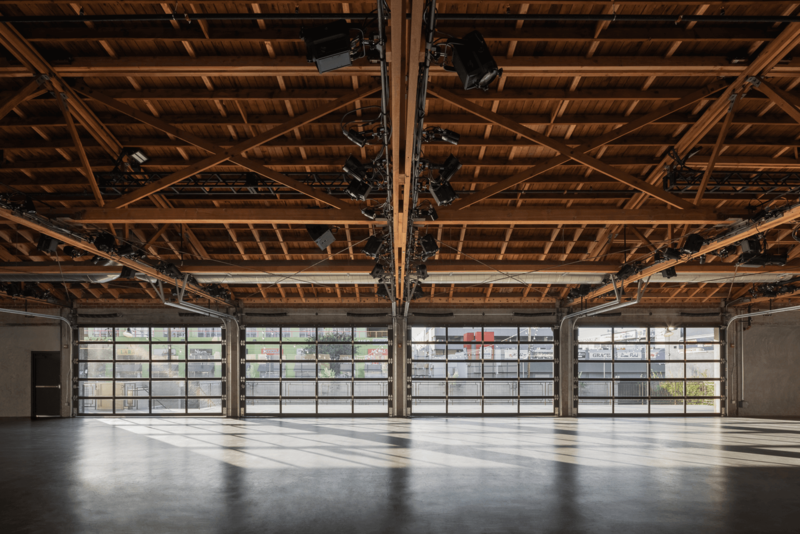 The sides of the main hall are flanked by glazed garage doors that open to soften the break between interior and exterior, spatially connecting the alley with the urban activities of the adjacent street. 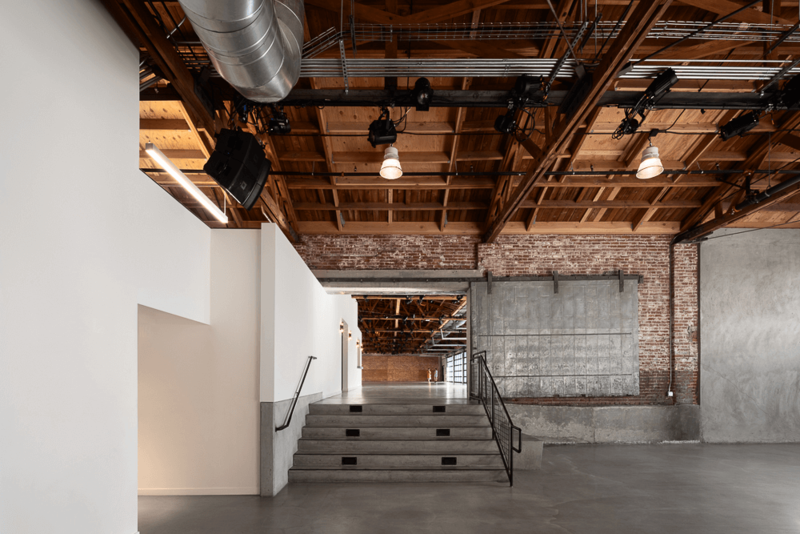 The interior palette relies on the contrast between the natural materials - brick, corrugated weathered metal panels, and wood - juxtaposed with the new white walls. 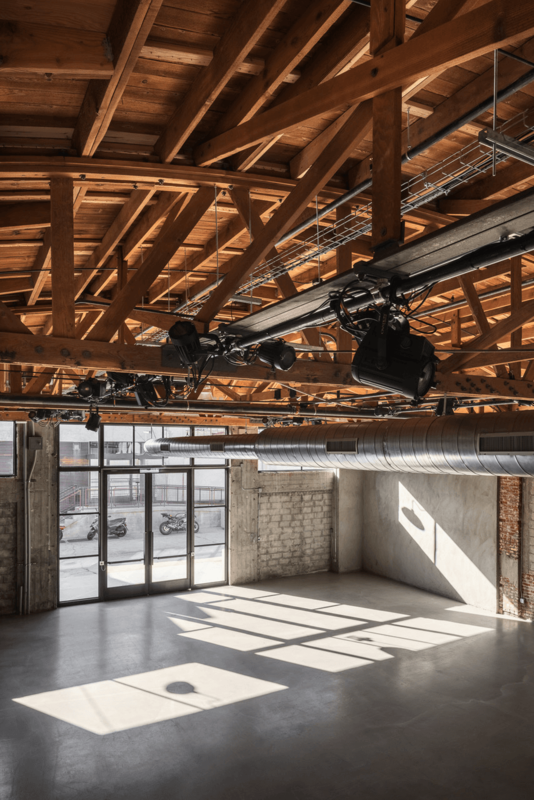 The existing concrete frame and bow trusses are preserved, reinforced and exposed, while all other building elements and systems are new - including the roof, the exterior enclosure, interior partitions, and mezzanines.